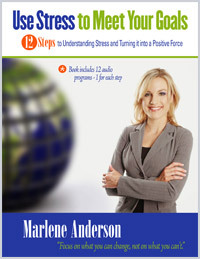 Download this PDF series of 12 steps that define stress and “dis-stress” and gives strategies to turn our stressors into a positive, constructive energy force. 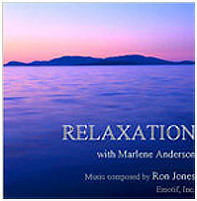 The series includes printed information to read along with an MP3 recording for each of the 12 steps. 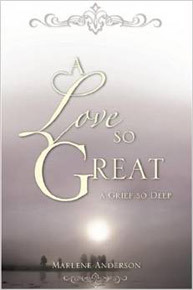 “A Love So Great” is the story of a great love shared between two people, and the grief that follows death. It is a story of faith and hope, agony of doubt and unbelief through dark days, and the long journey of healing from loss. As a psychology teacher and counselor, the author was unprepared for the depth and length of grieving. As she takes you through her journey, she gives the reader important information about the grieving process and shares her walk with God who met her every morning. It is informational and inspirational, and helps both the mourner and those who reach out to support those who are mourning, as it dispels myths and misunderstanding. It is a story we all need to read. Marlene Anderson is a consultant, trainer, facilitator, speaker and counselor, and has presented workshops to corporations, health and educational organizations. She has a Masters degree in Psychology and Counseling, is a licensed counselor in the State of Washington and a national certified counselor. She lives in La Conner, WA and enjoys singing, traveling, writing, speaking, and being with friends and family. A thin curtain separates the physical world from the unseen spiritual realm. And sometimes God pulls it back to give us a glimpse of the other side. 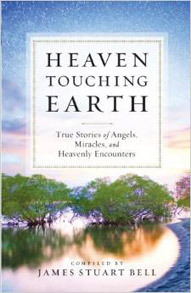 In “Heaven Touching Earth,” ordinary people share more than forty all-new stories of miracles, healing, divine provision and protection, and encounters with angels and demons. These true, uplifting stories will remind you that even when you don’t see obvious evidence of God at work in your life or get quick answers to prayer, there is a loving Father who protects and provides and is always working on your behalf in the invisible realm. Whether you’re simply curious about the supernatural world or longing for a fresh experience of God’s presence, these inspiring stories will touch your heart and strengthen your faith in the God of miracles. Real People. Real Life. Real Grace. A new start after a colossal failure. Reconciliation with a son that had stormed out of the house years ago. Complete recovery when the doctors said there was nothing else they could do. A broken marriage is restored. A moment of absolute joy-even while storms rage all around. Big moments. Small moments. There are just some moments when the only explanation for what just happened – joy, forgiveness, reconciliation, healing, a fresh start – is that God did something special and incredible on our behalf. 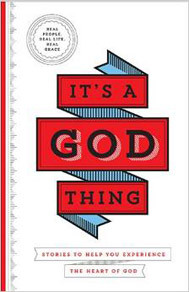 “It’s a God Thing” is made up of 50 real life stories that demonstrate the real grace that can only come from a kind and loving Heavenly Father.